Hebei vice governor Yang Chongyong addresses the forum. A 2010 World Expo-themed forum focused on Urban Development and Livability was held in Shijiazhuang, the capital of Hebei province, on Oct. 19. The forum, organized by the Organizing Committee of 2010 World Expo and the Hebei provincial government, is part of promotion efforts for the Expo. The forum focused on how to create a prosperous, modern and sustainable city, the relationship between urban construction and people’s living environment, and how to promote a coordinated development model between society and nature. Experts in urban planning and construction present at the forum shared their ideas about how to promote Hebei's urban development and improve its environment. Li Xiaojiang, president of China Academy of Urban Planning and Design, delivered a speech on Shijiazhuang’s development potential and Zhu Dajian, director of Institute of Sustainable Development and Management with Tongji University, spoke about ecological civilization and urban development at the forum. The views and insights of the experts at the forum will be compiled into a book. 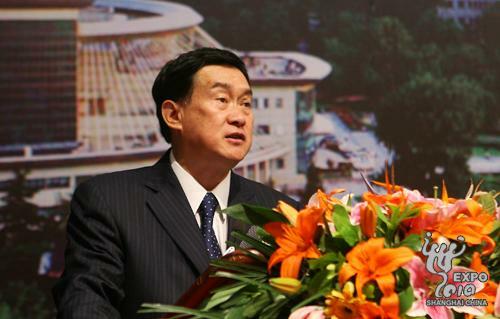 Hubei governor Hu Chuanhua, vice governor Yang Chongyong, and senior officials with the Organizing Committee for the 2010 Shanghai World Expo were among the dignitaries at the forum. 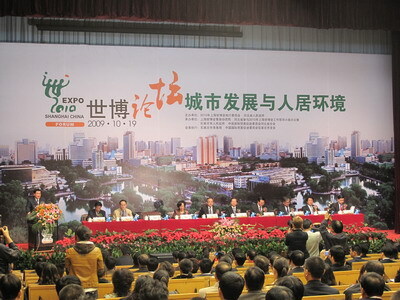 Similar Expo-themed forums have been held in thirteen other cities as part of a nationwide tour to help promote the Expo, which began in April.